The CPD Webinar programme covers audit, accounts and tax related subjects which are designed to meet the needs of all fee earners in general place. All our fee earners have access to the tax updates presented by Martyn Ingles, they cover all the vital tax issues and updates, with emphasis firmly on the practical issues so that action can be taken at the right time. The FCA Update Webinars are designed to refresh delegates on the FCA regime and to ensure they are up to date with all the latest FCA developments and rule changes. As the auditing profession continues to evolve, this series of webinars focuses on the key auditing standards to consider when auditing various areas of the financial statements and the challenges auditors face. Registration is unlimited for your entire team! If you prefer to attend a CPD seminar, we run a full day tax and accounts updates twice a year in Manchester and London. 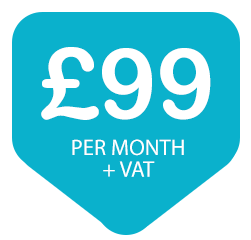 All our training is provided per firm and all your fee earners can participate as part of your membership fee. if you are unable to attend to attend person, we will also be broadcasting live the events and 2020 members receive complimentary access! In this quarterly webinar series, 2020 bring you the latest trends, successful ideas and opportunities from firms around the world to motivate and inspire you. Feedback from the programme has been outstanding, with over 94% rating the meeting as ‘excellent’. All members are invited to attend two regional meetings per annum to discuss practice issues and share success stories with other members. These meetings are restricted to 10 members per session so everyone can contribute. Members rate these meetings as being extremely valuable in helping them to develop their own practices. There are over 50 regional members meetings run throughout the UK and Ireland and members are free to attend any of these. All members receive practice management and marketing training for their fee earners at our regional roadshows where we discuss what’s happening in our industry and showcase new technology, practice management and new marketing methodologies. Typically, they last for 3 hours and qualify for CPD. These are held throughout the UK and Ireland. Members have access to a range of proven strategy and profit improvement, practice management, marketing and added value tools, all developed and designed by 2020 to help your practice and clients prosper. Our industry is changing. As a result, firms are faced with the choice of focusing on compliance services or widening their services to offer business advice in a more systemised way than they have done before. The Business Advisory Manual contains the guidance to help you position your firm as a business advisor with proven and practical advice to make this happen. Access to training webinars on advisory services such as strategy, finance, tax planning and more! Strategy guidance and templates to plan for the changes you need to make immediately to the way you organise and charge for digital accounting and tax services. Monthly marketing materials update to cover any changes in the proposals. Our team has considerable marketing experience in helping firms grow their client base. 2020 members have access to a comprehensive range of marketing resources,guidance and consultancy specialists. 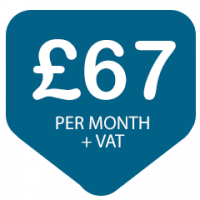 Every month members receive tax and business contents to use on social media, blogs or newsletters and every quarter we writes a newsletter that members personalise and send to their clients and prospects. We have been promoting membership services to accountants for over 20 years and all members have access to all the articles, blogs and content we have written. If your firm has a marketing person this resource alone will save them hours of time and make marketing your practice a breeze! This newsletter provides innovative and proactive material in a word template. Personalise with your firm’s logo, contact details and news about yourselves, then email or print it for your clients and prospects. Fully updated with the latest budget and Finance Act Changes, this newsletter is a great way of keeping in touch with existing clients, letting potential clients know that you exist and showing that you are different from other firms of accountants. the general e-newsletter provides topical information on new products and ideas to make money and improve efficiency. In addition to CPD and practice management training, 2020’s priority is to help firms grow and expand their service offerings and we support this with finance, wealth management, outsourcing, tax fee protection and restructuring solutions. we have specialists who can help you widen your service offering and grow your practice. You can have complimentary attendance at our Practice Management and Development Conferences each year. Places are based on the number of partners in your practice associated with your membership subscription. There are over 150 checklists, calculators, spreadsheets, forms and letters to enable you to deliver structured business advice to your clients. These resources are exclusive to 2020 Platinum members and are designed to keep you ahead of the competition. The Practice Management Hub contains proven and practical guidance, training and the resources to help you become focused and more profitable than your competitors. This Action pack has been written to help members understand the steps and procedures when Buying, Selling and Merging (BSM) their practices. It is designed to provide an overview of the planning, methodology and post transaction actions for BSM. Tax Tips & Tools allows you to make complex calculations quickly and easily. It has been designed for tax practitioners, particularly those who service small and medium size businesses. This comprehensive collection of over 425 useful forms, letters and tools is an essential product for every accountancy firm. The product compiles all of the forms and letters that you need for the day to day running of your practice. “Hobsons have been 2020 members for over 18 years. The training and support we receive from 2020 is excellent and they are always one step ahead in anticipating our needs. “Conference speakers provided good, relevant practical advice and tips, supported by actual experiences, to help towards moving to a cloud based practice. I always leave a 2020 event with plenty of ideas that are easy to implement that will make a difference to my practice. David Wagstaff, Burton Accountancy Services Ltd.	, Burton Accountancy Services Ltd.
Forms, Letters and Tools is fantastic value and a great time saver. It has enabled us to standardise procedures throughout the practice so that junior team members can deal with the detailed work allowing the senior members of the team to concentrate on practice development. If we need a form, letter or tool, we do not usually have to look any further than this product. As far as we were concerned, purchasing Form Letters and Tools was a no brainer. This is such a useful resource that we would not be without it now and it means that whichever member of the team uses it, we are always consistent.